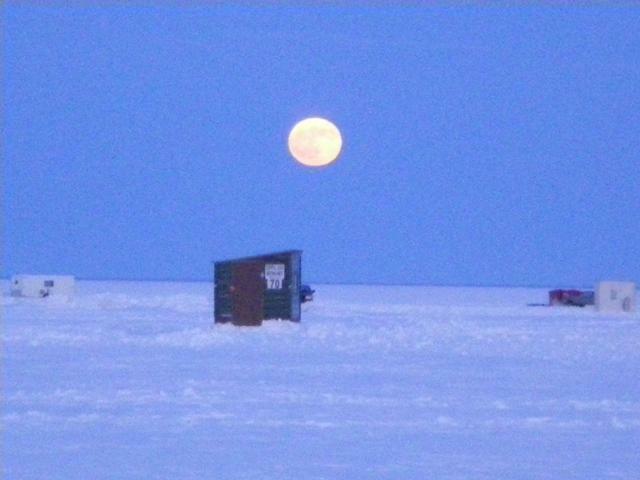 It was a clear, cold night on that last day of December and it was a pretty Blue Moon. 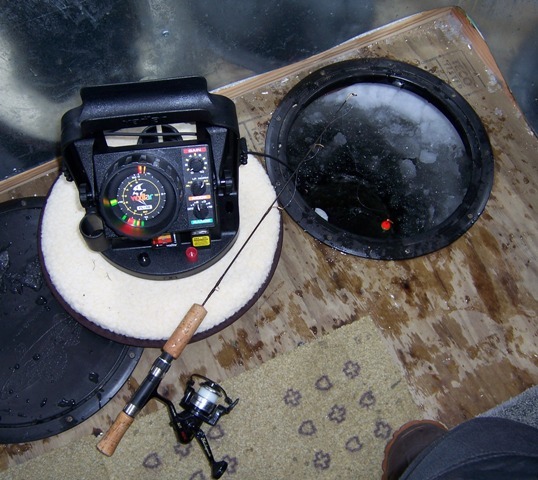 We have had plenty of good ice making weather and now have about 18″ of good ice on the lake. Travel conditions on the lake are pretty good with lots of plowed roads. I’ve heard that the river has water on the ice so shanty’s need to be blocked up. I didn’t put my little shanty on the river this winter; I’ll just use my portable house when I need to. Wednesday, Don and I went to the lake. We went out of Adrian’s and took the plowed road a little over three miles past Pine Island to about thirty feet of water. We had his hard sided shanty and had no trouble getting off the road and setting up. We started fishing about 11:00 a.m. and the first two hours was nothing. We used frozen shiners and live chubs with a number of different jigs. We were not even marking fish on the flashers. Over the next couple of hours we caught about a dozen fish. We kept eight; five nice walleyes and three saugers. 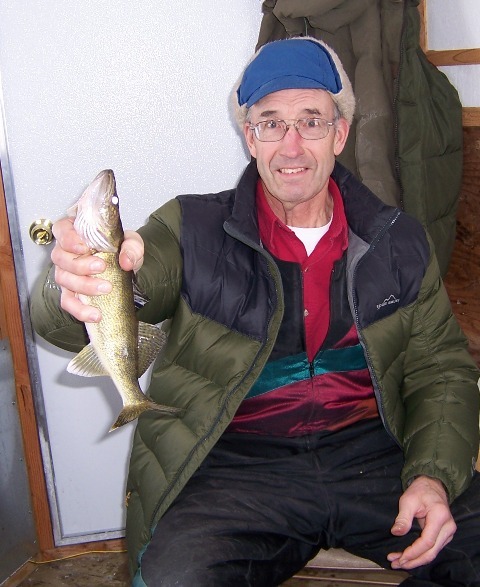 We released a nice walleye that was right at the 19-1/2″ slot and a couple small saugers. What we did is pretty much the same as other reports I’ve been getting. Some days are better; other days not so good. I’ve heard that Red Lake is spotty, also.